More and more fast food restaurants are revealing that they’ve been serving secret menus to their in-the-know customers. 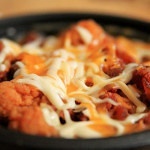 Among those who’ve leaked their secret menus, KFC has some great secret menu items that you’ll definitely want to try. Ordering from the KFC secret menu is easy, but you have to know what you want to order beforehand. You won’t be able to peruse any of these menu items on the wall, but you can walk up to your cashier at almost any KFC and order one of them without any resistance at all. What can you find on this secret KFC menu that won’t be printed on the wall behind the counter or on the drive-through menu? Well, first of all, at locations that stock cheese curd, you can get poutine. 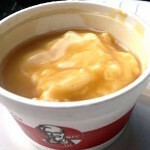 This hearty Canadian delicacy consists of French fries that are covered in cheese curds and then smothered in gravy. If the staff doesn’t know what poutine is, just ask them to drown your fries in gravy and cheese curds – the result is the same, and it’s delicious! The next most interesting item on the secret KFC menu is the Triple Down. 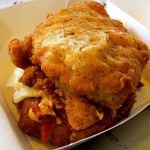 KFC put the Double Down – a sandwich encased in two pieces of fried chicken instead of buns – on their menu a while back. That’s no secret, but did you know that you can now add another layer of chicken to the Double Down to make an even more filling and delicious Triple Down? 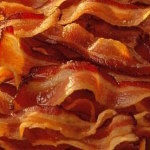 You can even get it with another layer of cheese and bacon, too. Another semi-secret menu item is the Hot Pocket Bowl. This was actually on the regular KFC menu for a while, but it’s been removed from printed menus and phased out of most KFC locations. However, a lot of people loved this menu item, and if you’re one of them you’ll be happy to learn that you can still order a Hot Pocket Bowl on the KFC secret menu if your local KFC has the right ingredients. In addition to imaginative inventions and modifications, there are also a couple of secret menu items that are really convenient and great news for people who love sides. 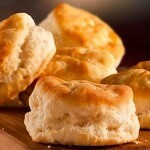 If you want more of KFC’s delicious, buttery biscuits, you can just order them as a side. And, though it doesn’t say so anywhere on the menu, you can also add mashed potatoes or any other side to your meal for a small fee, as well. 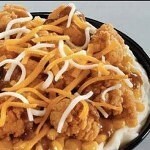 What do you think of KFC’s secret menu? Will you be trying the poutine or the Triple Down? Or will you just stick to adding a few more biscuits and mashed potatoes to your meal?